The R Man has prolong his album and are we still waiting for it. The fact is that the Muddy Waters Too must surly surface despite how the he has keep us awaiting. 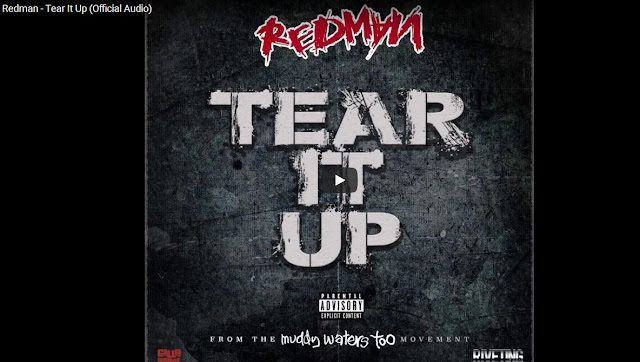 This is his first song we are seeing here on X and this has point that REDMAN is gradually put the album ready ahead of any other things. New song is out but is coming from Muddy Waters Too which we are currently seeing it as part of the album track list. We never got the last penned song called 1990 although that song didn't surface her on X base but that's one of the songs that will make up the Muddy Waters Too. If you have listen to that song today you will also be playing a new brand track from REDMAN and is called TEAR IT UP. Stream and listen to it below and make sure you share this across.